Marion Cotillard Gets Surprise Best Actress Nomination! Eddie Redmayne Nominated for Best Actor! Oscar Nomination Day! And the biggest most delightful surprise, for me, was my darling Marion Cotillard getting nominated for Best Actress for “Two Days, One Night” the powerful Dardennes Brothers movie from Belgian. Acting superbly in French, Marion once again breaks your heart and getting a nomination that effectively knocked out Jennifer Aniston for “Cake” is no mean feat. Bravo Marion! Felicitations! Marion of course also won an Oscar in this category already for “La Vie En Rose” in 2007. Also, I’m so happy that Eddie Redmayne did also score a Best Actor bid in a super crowded field. One of the most jammed categories ever, competition-wise! Congratulations too to him and to all from “The Theory of Everything” that also got nominated for Best Picture, Best Actress Felicity Jones, Best Adapted Screenplay and Best Score for Iceland’s Johan Johansson. 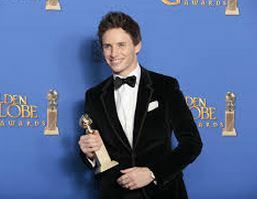 He also won a Golden Globe on Sunday as did Eddie. 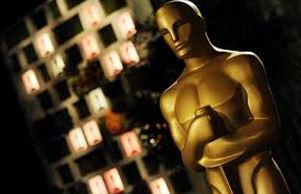 “The Grand Budapest Hotel” tied for the most nomination with “Birdman” and this year the Academy only decided to nominate eight films not nine or ten as in year’s past. “Nightcrawler” was left out completely except for a screenplay nomination. And the controversial “Selma” only got two nominations, Best Picture and Best Song, which it won at the Golden Globes. I got all eight Best Picture nominees right. Only I thought it would be nine, adding in “Nightcrawler.” Neither Renee Russo nor Jake Gyllenhaal made it in. And I saw Jake G. last night being great on Broadway in “Constellations”. More on that soon! Marion Cotillard Wins ANOTHER Best Actress Award, This time from Boston Online Film Critics! Two in One Week! Tilda wins, too! The beauteous Marion Cotillard is having one hell of a lovely awards week! She won the NY Film Critics on Monday for Best Actress for her two films this year “The Immigrant” and the Belgian film “Two Days, One Night” and today, Saturday, she was also named Best Actress by the Boston Online Film Critics for “Deux Jours, Une Nuit”(The French title). The Boston Online Film Critics really went rogue and won my heart in a big way by naming not only my darling Tilda Swinton Best Supporting Actress for the also underseen “Snowpiercer.” but they also named “Snowpiercer” Best Picture! And to top it all off they named Brendan Gleeson Best Actor for “Calvary”! A Trifecta of Perfect Awards for Outstanding Performances that are in danger of being overlooked. But not anymore, I hope. And tomorrow brings ANOTHER Awards avalanche with the L.A. Film Critics announcing! Could these three also turn up there? Could be! I hope allll these deserving films and performances get re-distributed and re-seen now that we are at the height of awards season!